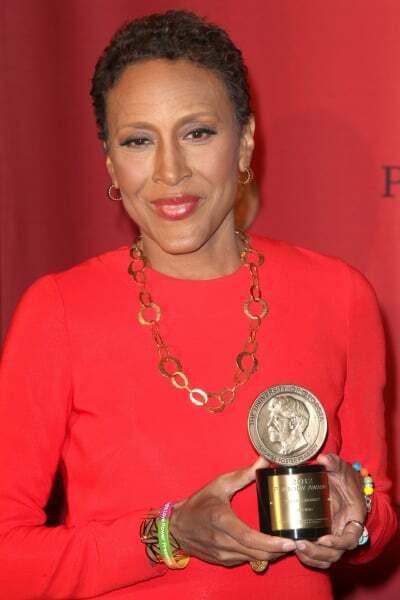 On Thursday, the record-breaking Emmy Award winner shocked the entertainment industry when she confirmed she’s been diagnosed with breast cancer. The beloved star learned of this illness the day after she won yet another Lead Actress in a Comedy trophy for her hilarious role on Veep. “The good news is that I have the most glorious group of supportive and caring family and friends, and fantastic insurance through my union. Dreyfus husband Brad Hall have two sons together, one of whom shared a precious tribute to his famous mother one day after the world learned of her diagnosis. 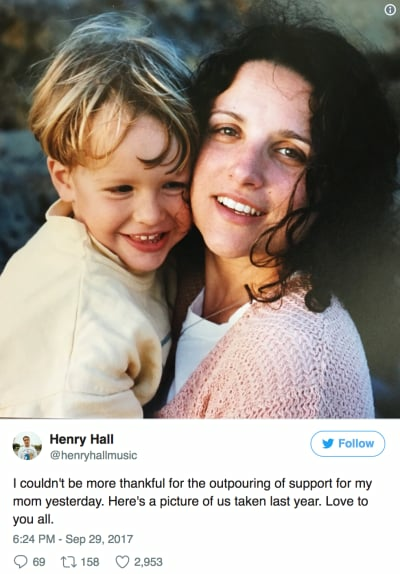 “I couldn’t be more thankful for the outpouring of support for my mom yesterday,” Tweeted Henry Hall, along with a throwback photo that he pretended was taken last year. “Love to you all,” he concluded. Sort of wants to make you melt into a million pieces right there on the spot, doesn’t it? It hasn’t just been her immediate family members who has reached out to Dreyfus, of course. You’d be hard pressed to find a more respected television actress in Hollywood. “@OfficialJLD so sorry you have to go thru this, pal, but I know you will prevail. We are here if/when you need and we love you,” Tweeted Jason Alexander, who co-starred for years opposite Dreyfus on Seinfeld. The legendary actress also received social media support from her Veep cast members Timothy Simons and Diedrich Bader, who play Jonah Ryan and Bill Ericsson, respectively. “All our prayers for a complete recovery If love is any help at all, know that you are truly loved,” Bader tweeted. Then there was former Vice President Joe Biden, whose real job Dreyfus has pretended to have on HBO for the past six years. “We Veeps stick together. Jill and I, and all of the Bidens, are with you, Julia,” Biden wrote, along with a photograph of himself and the actress in sunglasses. 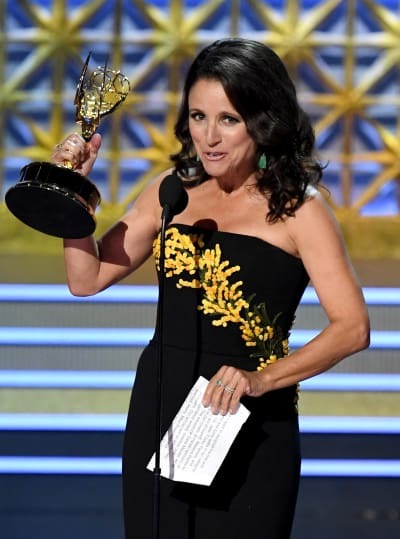 Sending love and prayers to @OfficialJLD…this morn @GMA @DebRobertsABC brings us her story and message about facing breast cancer…as support pours in for the beloved actress. We send our thoughts and prayers to Dreyfus as well. Tori Spelling: Mansion-Hunting While Broke? !